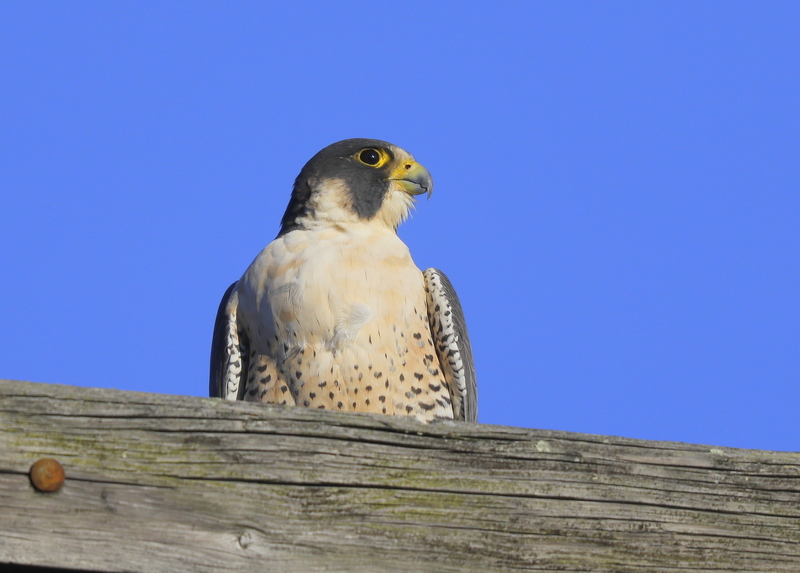 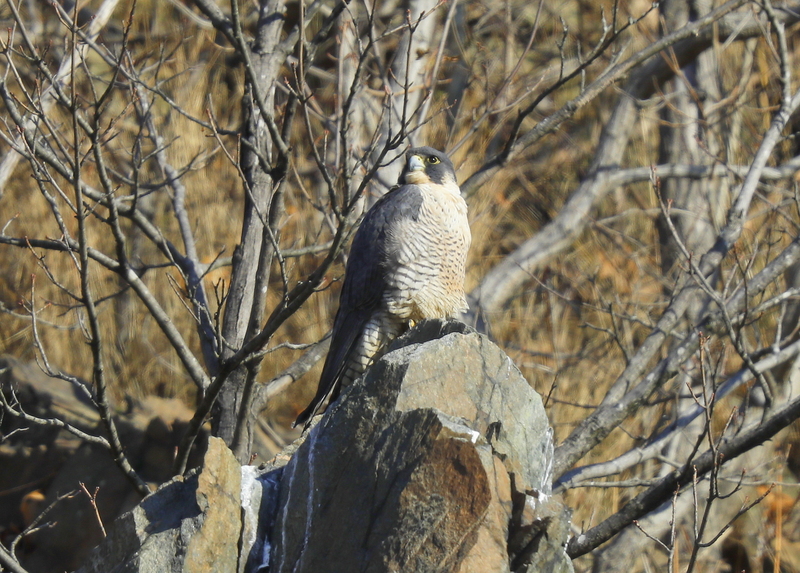 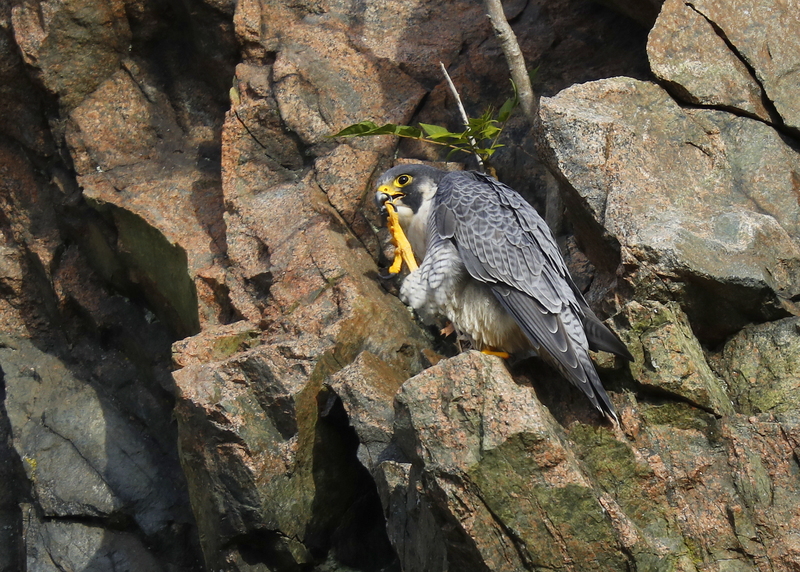 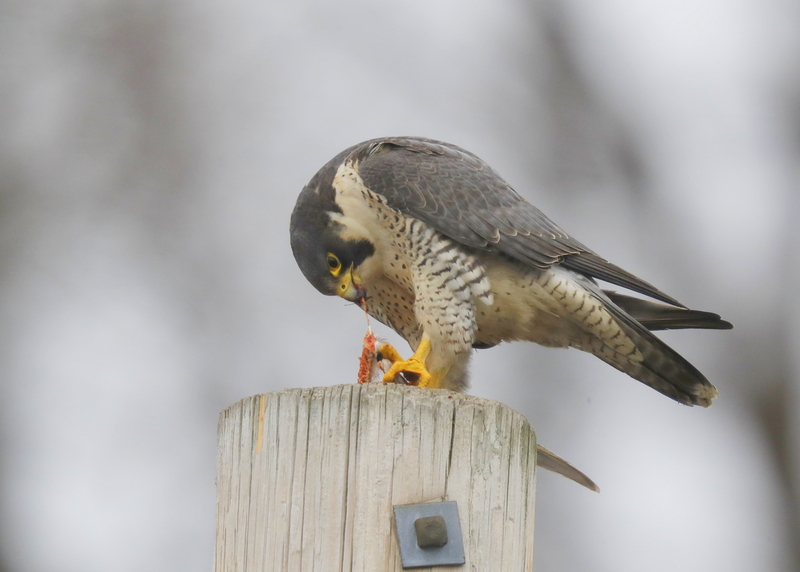 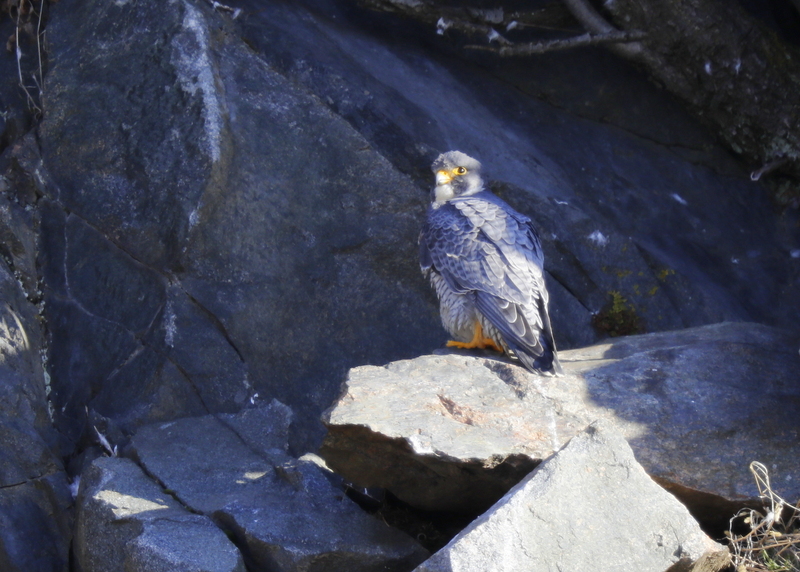 You are browsing the Blog for peregrine falcon woburn. 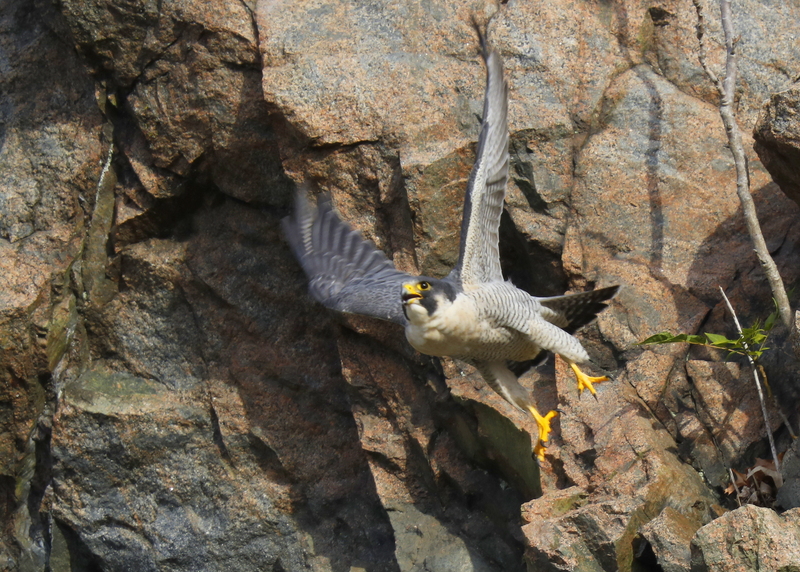 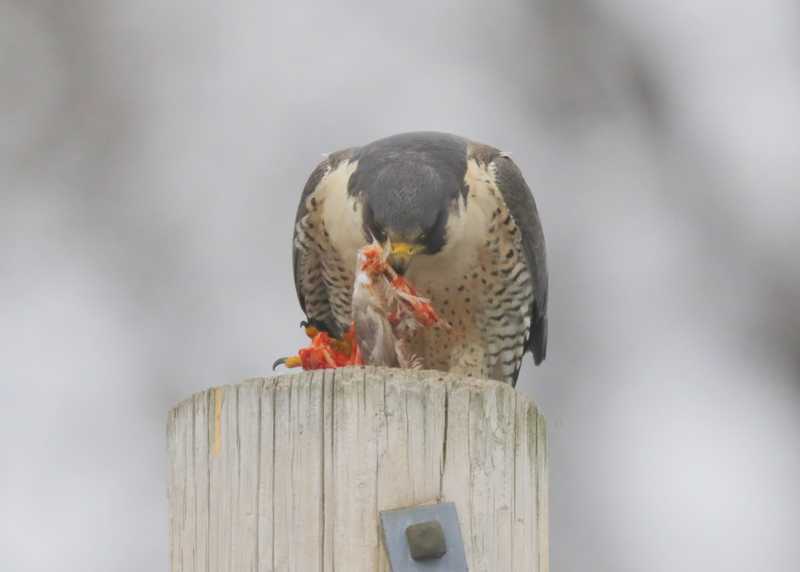 Peregrine Falcon: Woburn chase scene! 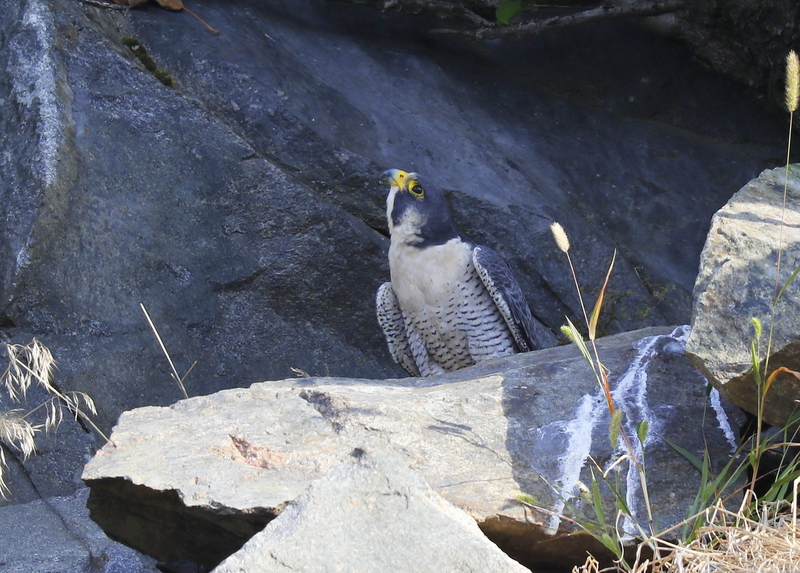 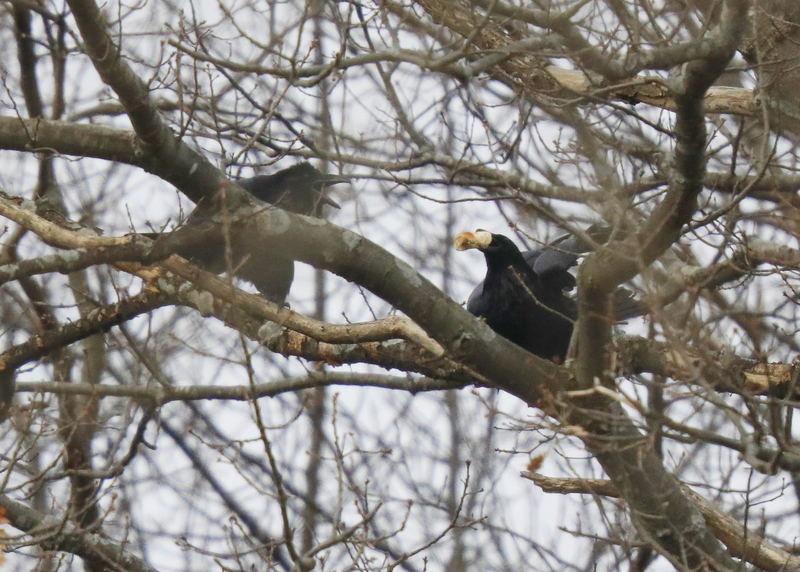 After arrival in the general quarry area, it took a while to locate the male. 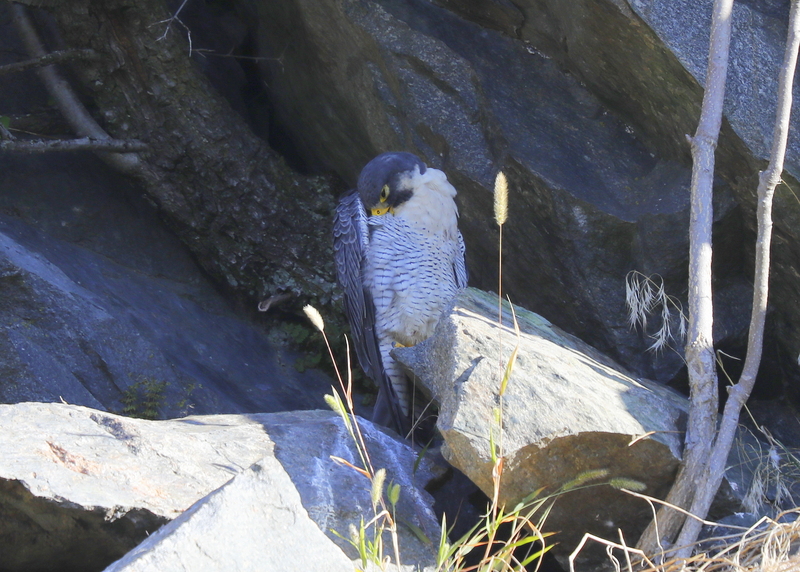 He was well hidden behind a small clump of weeds growing out of the rocks. 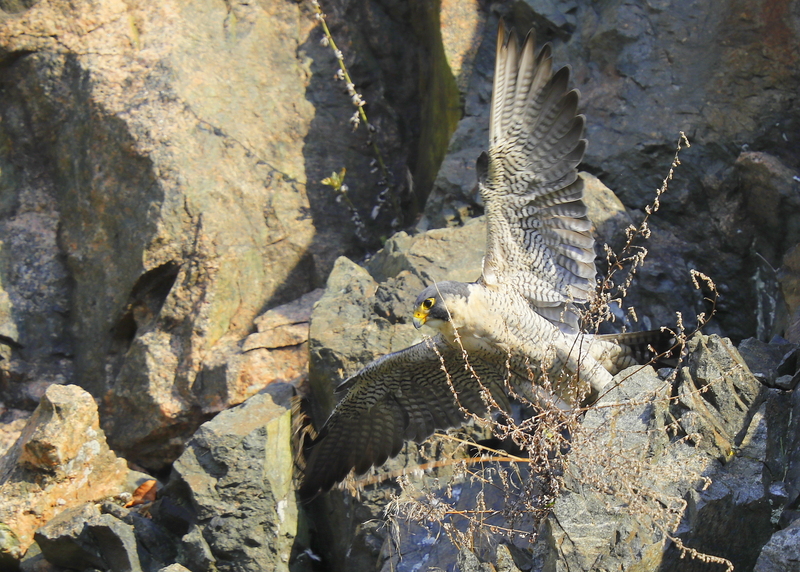 A number of local pigeons were active flying around the quarry. 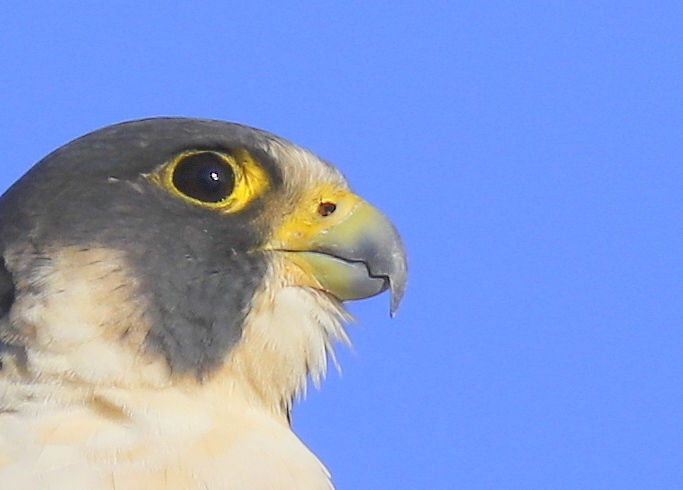 It was partly sunny, with winds from the north at 15MPH and the temp was 73F. 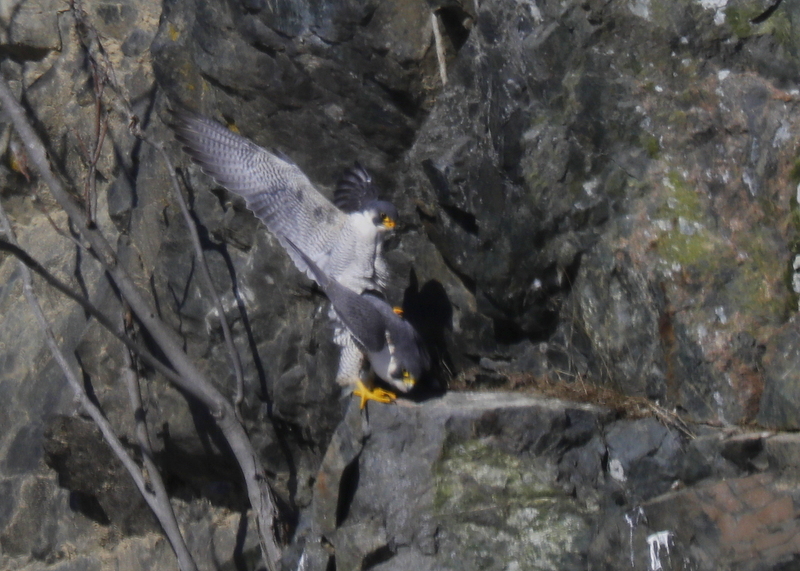 Without much warning, the male launched into flight in a springboard takeoff in pursuit of the pigeons. 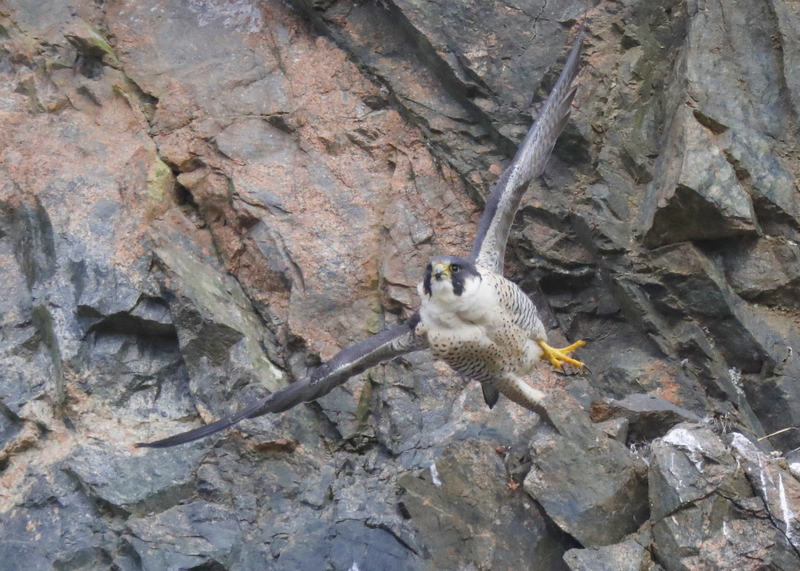 He made a half-hearted chase and then looped back around to land at the nest ledge! 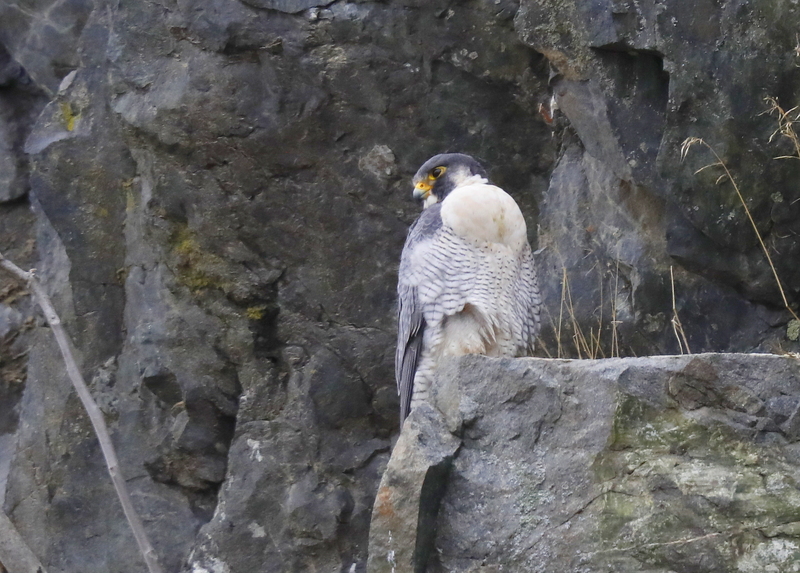 He remained vigilant in watching the continuing pigeon flight activity!